The HSI-led IPR Center supports the White House Memorandum on Combating Trafficking in Counterfeit and Pirated Goods, and will be working with various departments and agencies per its direction. A Laguna Hills man has been arrested on federal charges alleging he oversaw a scheme that smuggled counterfeit Apple and Samsung cell phone components from China that were sold in the United States, generating tens of millions of dollars in revenue. WASHINGTON – Univar USA Inc. (Univar), a subsidiary of Univar Inc., of Downers Grove, Illinois, has agreed to pay the United States $62.5 million to settle allegations under the customs penalty statute that it was grossly negligent or negligent when it imported 36 shipments of transshipped saccharin between 2007 and 2012. 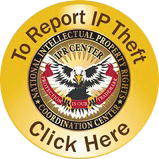 To report violations of intellectual property rights, including counterfeiting Report IP Theft and piracy, to the National IPR Coordination Center, click here. For more information or to request permission to use and place the official seizure banner on your website, please click here.